Naturally I couldn’t help but enjoy watching the Tories running scared at their conference last week. They looked devoid of ideas, lacking all energy, and terrified of Labour. But they are also terrified of their own right-wing, and it is leading our economy off a Brexit-shaped cliff. By contrast, our conference was enthusiastic, optimistic, and full of the hope of our members. We had many more people getting involved in Labour politics at conference, and there were lively discussions at the fringe events, where Brexit came up time and again. But in the conference hall, there was an elephant in the room. And some members were carefully trying to brush under the carpet the biggest issue facing our country for a generation. That we decided not to debate and vote on Brexit at our yearly conference is an embarrassment for a party claiming to be on the doorstep of power. Everything Labour want to do in government would be framed by the kind of Brexit we have. Want more nurses and doctors for the NHS? We need Europeans to be able to work here easily. Want the car manufacturing industry to continue to thrive and provide jobs and growth? We need the customs union so that we can move parts across borders without delay. Want the cost of living to come down? We need to stay in the single market to allow continued unimpeded trade, a strong pound, and to be part of a trading bloc which represents 500 million people. Labour members understand all this. 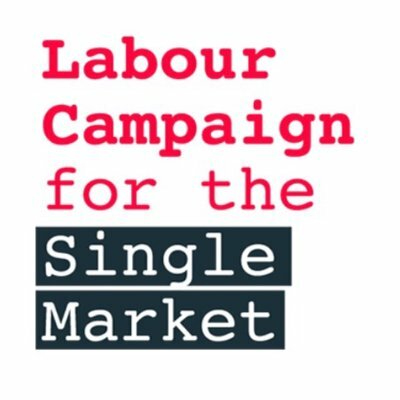 Back in August, Heidi Alexander and I launched the Labour Campaign for the Single Market in order to provide members with the resources they need to make the case for Britain staying in the single market after Brexit. We helped members take motions to their CLPs proposing we stay in the single market, in order to get the issue on the conference floor. Many motions were brought to conference, but Brexit-related motions lost in the priorities ballot, which decides the issues for debate at conference. This might seem strange, given Labour members voted overwhelmingly in favour of Remain. But Momentum members were told that they didn’t need to vote for Brexit, as it would already be debated in the form of Keir Starmer’s speech. This was misleading, as the opportunity for a proper debate, and policy influencing vote, was through a full debate on the conference floor, and so was lost. But Brexit was nonetheless the hot topic at conference. Labour members are keen to discuss it and our campaign will continue to drive the conversation. Over the coming months we are going to hold events around the country for members, to continue the discussion about what Labour’s policy should be on Brexit. We know that membership of the single market is crucial to the economic prosperity of this country, to people’s jobs and livelihoods. But it is also vital to protect our rights, and our children’s future: everything they might want to be or do could be affected by what this government decides over Brexit. We need to stop the Tories capitulating to their hard right wing. We must force this government to rethink the economic self-harm of leaving the single market. Over the summer, Keir Starmer called for a transition deal which included single market membership, and the Tories backed down soon after, following his lead. With more pressure from the Labour benches, who knows where we can push this chaotic government. It’s our move.